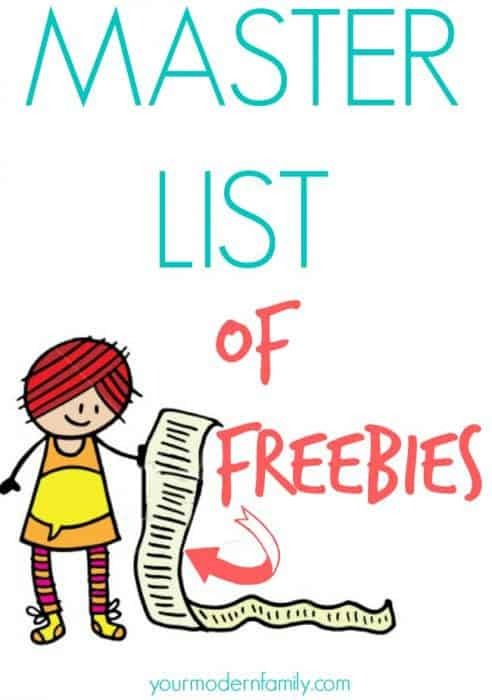 Free Mom Hacks Book: A week of meals, activities & tips planned for you! Easter Basket Stuffers that your kids will LOVE! Why I put my kids to bed at 7:00 … it is a hot topic, that’s for sure! 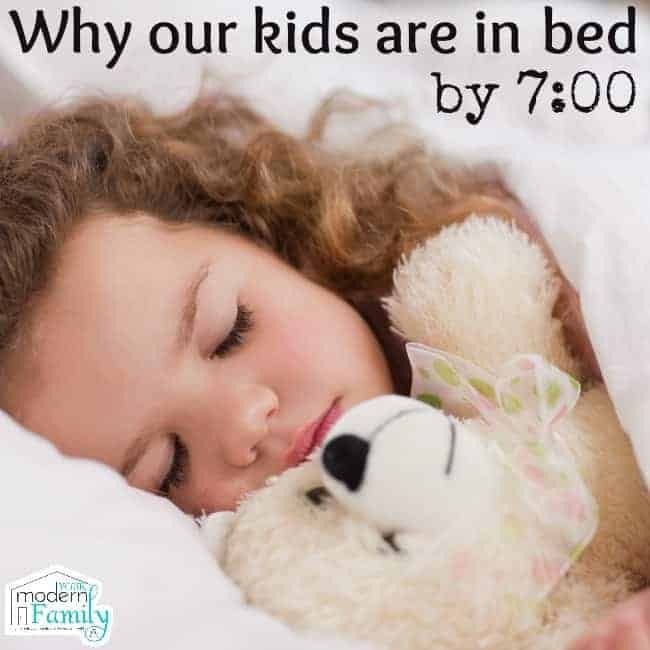 Yes, our kids are in bed around 7:00 every night and asleep by around 7:30 every night. Our four YOUNG kids play hard during the day. They run around a lot and they spend a lot of time outside with us. Plus- the are usually asleep in 5-15 minutes, so I know they are tired. Do they ever stay up late? YES! Once a month they each stay up late for Their Special Night. Plus, every night, our oldest son gets to have Read-Alone time in his room before bed, too. Or they can read their spelling words while they fall asleep with this little hack. “Most kids between 5 and 12 get about 9.5 hours a night, but experts agree that most need more. When your body doesn’t have enough hours to rest, you may feel tired or cranky, or you may be unable to think clearly. You might have a hard time following directions, or you might have an argument with a friend over something really silly. A school assignment that’s normally easy may feel impossible, or you may feel clumsy playing your favorite sport or instrument. I am not saying that this is right for you. My husband and I both work from home, so this works for us. Two of our kids are home with us during the day and our other two kids are home from school by 3:30 every day, so we have plenty of time with them. Before he worked from home, I used to have the kids showered and in their pajamas before he got home, to give us more time together. Remember that it is quality over quantity. This does not happen every night, but it’s our goal. Most nights, one of our kids will be at practice until 8:00, so of course bedtime is later on that night. 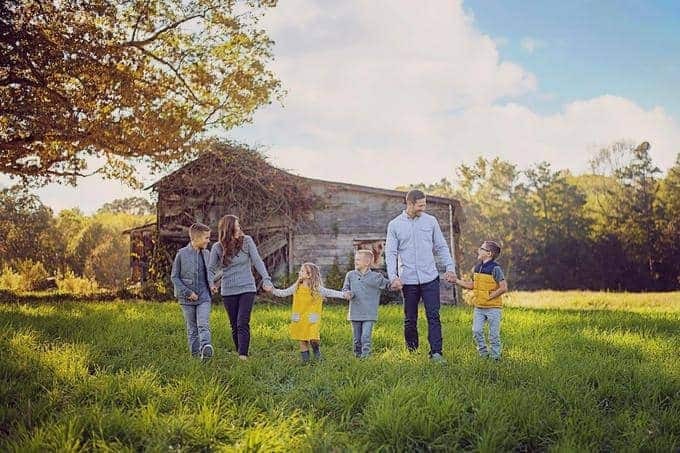 (A few years ago, when my youngest kids were 3 & 5, they would fall asleep in the car at 6:00 on our way to drop the older kids off at practice… and I just take them up to bed and they sleep ALL NIGHT LONG. They never wake up during the transition to bed. I know it’s crazy, but when I try to wake them, they are NOT happy, so on those nights, I just let it go). Oh- and one last thing… it is good for your marriage. My husband and I see each other all day long while we work from home or while we are spending time with the kids, but at night we have time to watch a show, play a board game, etc… Now, I am not saying that this is why we put them to bed early or that it is why we started, because it’s not, but we do enjoy that time together. 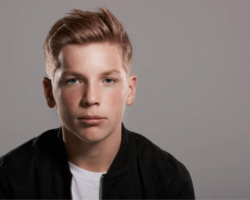 Did you know that the #1 fear of preteens and teenagers is divorce among their parents? Quality time together, with your spouse, reduces this risk greatly. Remember- our bedtime certainly isn’t for everyone, but it works for us. It is healthy for our kids to get that amount of sleep and it helps them overall. 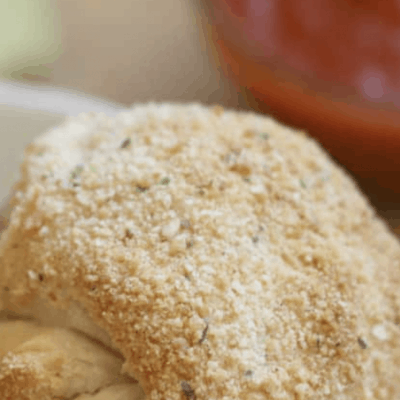 Quality sleep + healthy foods make a huge difference in our kids. On the other hand, for those of you that have a late bedtime, my very dear, long-time friend, Julia, keeps her kids up well past 10:00 and it works for them. I know that I need to wait until 11:00 or later to talk to her on the phone. Do what works best for your family. If you would like access to my free sleep course, via e-mail, sign up here. I will also send you a sleep schedule to get you started. © YourModernFamily.com. Content and photographs are copyright protected. 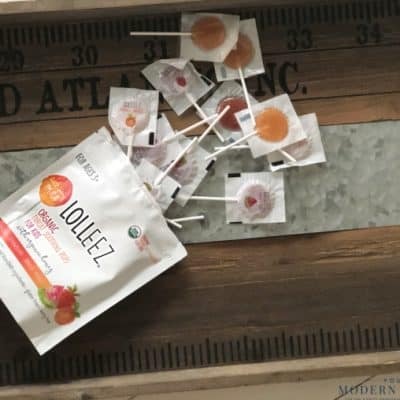 Sharing of this article is encouraged and appreciated, copying and/or pasting articles to any social media is strictly prohibited. Hi! I'm Becky Mansfield ~ founder of Your Modern Family. I am the wife to Mickey & the mom to four little blessings! I am a teacher turned play therapist and stay at home Mom. 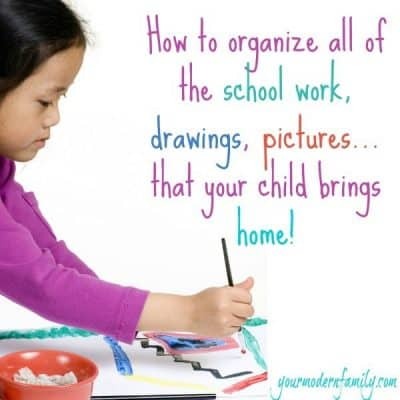 I love to share my organization tips, kid ideas, money-saving tips and recipes with you. I’m in complete agreement with you! It’s so, so important for kids to get the sleep that they need, for all of the reasons that you cite. We aim to get our two children (aged 2 and 4) to bed by 7pm, and they generally wake up some time between 7 -8am in the morning. It’s also important to my husband and I to have some quiet time together every evening, once the kids are in bed. You don’t owe anyone an explanation. Remember that next time someone makes you feel guilty enough to make you have to explain yourself. Keep doing your thing. There will always be someone doing something different. Happy to read that you and your husband make time for each other. That’s what people should be complimenting you on. Just my two cents. I totally agree, I have custody of my son’s son he is six yrs old. I put him to bed now later than 8pm, but we are laying in bed by 7pm watching the goodnight show and various. This time is our cuddle slow down time. My grandson is the first child I know that if our schedule gets pushed back he’s tugging on me beginning cmon nan it’s time for bed. I should mention this is on top of a two hour nap that he refuses to go with out. I should mention he is disabled he has autism and epilepsy and still sleeps with me he came to me at 4 Mo having night terrors so if anyone can help me get him in his own bed. I have tried many things including letting him fall asleep on the couch and sneaking off to bed but by 1am he comes crying and stumbling into my room to crawl in bed. OH wow- that’s great that you are able to take care of him like that. What a great grandma you are! Have you tried putting his bed in your room so he is still close to you, but not in the same bed? Maybe a sticker chart or reward system would help? I agree 100%! If it works for your family, why should anyone feel they need to voice their negative opinion! I have an almost 11 year old and 9 year old. They go to bed by 7:30 as often as I can manage. They are asleep within a few minutes and pleasant the next day!!! I know this is old, but wow! Your sibling is doing you an enormous favor by not having her 4 and 5-year-old kids attend late night family events! Wired small kids are not a lot of fun. If she weren’t whisking them off to bed, they’d be climbing the XMas tree, diving into the wedding cake or laying on the floor screaming. You might think young kids are fun after 8 pm, but the novelty wears off on the people who have to set limits for them. If they stay up for some special occasion, they won’t just politely go to sleep after like mature humans. They’ll scream, whine and writhe on the floor when we attempt to put their PJs on and forget getting teeth brushed. I have three kids and we never do late night outings any more. The after effects are just a beast. 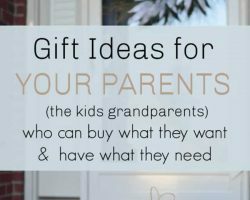 Maybe you could offer to put the kids to bed for your sibling after some late night family gatherings and see how that works out. And no, you can’t pass the torch back to the parents when they’re up at 1 a.m. still and screeching like wild animals and running in circles around the house insisting that they’re not tired! Even if you’re tired and ready to pass out on the floor. You must stay awake and get them to sleep! It’s a ton of fun! I’d rather miss the wedding, quite honestly! I think you are being a bit insensitive to the needs of the children! My kids aren’t just a wreck the next day if they stay up way past bedtime, it’s about 3 days of horrible behavior and meltdowns. So if someone schedules something that late at night, we usually skip it for everyone’s sanity! I know how you are feeling,i am from Romania (Europe). I always feel I have to explain why my 18 months toddler is in bed by 6.45 pm (she sleeps all night, no wake ups) and sleeps 11-12 h/night. If I am trying to put her at 7.30 pm she is so tired that she will sleep less (like 10 hours and her sleep is so agitated). I am getting so frustrated so many times when I have to explain myself why I am doing this. For me this is working… indeed, during the summer days I would like to go out with her later(because of the heat) but we manage that also, it is also frustrating that all of the toddler programs (groups working together, playing, English classes, etc) start from 6pm. But we manage to have QUALITY time together. Thank you so much for such a wonderful article. I love it. I also put my 2 year 3 month old in the bed by 7pm. Hi- I stumbled across this article today. I am quite curious to know how you get all four kids ready for bed in one hour and including dinner? We have four kids as well. To get dinner, cleanup, pjs, toothbrushing and family worship time all done in one hour sounds amazing. I am intrigued. Right now it takes us from 7-8:30pm to get all that done (often not including dinnertime). Also, how does this work when the sun starts to stay out longer? Our kids start kindergarten in the fall and we need to figure out how to get bedtime routine to not take so long. If they are NOT in their beds, waiting for me, I read the story and put them to bed. I tell them that they have LOST time with me because they were being silly. They don’t like this, so they always want to go right to sleep. The sun being out later is hard, but we don’t waiver on bedtime. I just tell them the truth- the sun is out because people used to work on farms, even the kids, and they needed it to be lighter longer. They were not busy working on the farm all day and they will not be staying up late like the farmers did. 🙂 They don’t argue with me at all on this because it wasn’t even an option to stay up (except on weekends – which is usually around 7:30 or 8). I do the same. My son is 9 years old and since he started Pre-K he has been going to bed by 7:30 – 8:00 pm, except Fridays and Saturdays, because on Sunday we go back to 8:00 pm . It has worked great for me. Children do need at least their 10-12 hours of sleep especially during the school nights. My son never has problems waking up in the morning to go school. Does great when in his school, has played in a soccer team which practiced twice a week and still I managed to have him in bed by 8:00pm. I learned this from my sister how she would put my nephew to be a specific time in be, and boy have that been a plus in my life. Thanks for your post and like others have said, if it has worked for you keep it up. Also it has helped me to avoid him watching or hearing inappropriate advertisements that come on TV past 6:30pm which we have no control over even on rated G or family programs. I agree- they just wake up feeling better when they have had enough rest. PS- great point about the TV advertisements! We have dinner at 5:30, bedtime prep starting at 6:30. When he had t-ball we had to move his schedule a little later, but he ate in the car on the way and usually got to bed only 15-10 min late. It is workable. By the way, daylight savings is not for farmers. It was started by the Germans during the WW1 to save on fuel costs. Check out John Oliver Daylight savings time, why is this still a thing? We have black out blinds and curtains, so it’s nice and dark in the bedroom yr round. Oh no way- good to know!! My 4.5yo and 10yo are in bed at 7/7:30 every night- we eat dinner by 5:30, dine by 6. One of us will tackle shower/bath while the other cleans up from dinner (they only shower every other day unless they are extra dirty). Once they are in PJ’s, they don’t go back downstairs, otherwise they get wound up. I give them a small snack if they need it, then we do teeth, faces and get in bed. The 4yo gets read to first (usually while the 10yo is still getting her teeth and stuff done). Then she gets lights out and I move on with the 10yo- we will read and/or watch a quick Ellen video and it’s lights out for her also. I lay with the 10yo until she falls asleep, which is usually within 5-10min of lights out. We started the early bedtime when my 10yo started pre-k. She was going to bed around 8:30 and it wasn’t working anymore. I slowly moved her bedtime up by a few minutes every couple days until we were at 7. The 4yo has never known anything different. I liked your reasoning on putting the children to bed early. We put our boys to bed at 8pm from the first day they came home, of course they got up for feedings back then and only slept in our room till they were about 2 months but they never left their bed rooms at night for feedings the rocker was set up in their room. My name is Rosa and I’d like to tell you that I agree to what you say about sleep time. I am alone with a 27 months daughter. I don’t work since she was born and I spend all the time with her. I try to put her in bed early but she doesn’t want to as you already mention. So I put her in bed at 20:00 and she sleeps at 20:30. In the morning she wakes up between 06:30-08:00. During the day she sleeps 1-2 hours. Generally our day is quiet,so she doesn’t get tired.How can I make her go at 19:00? I don’t like it when she cries. I want her to sleep in peace. Should I change something or leave it like it is.? I love that her teacher told her that!!!! Completely agree! Its about the family as a whole. But it is clear that children need as much sleep as they can possibly get in order to achieve healthy development. I have two girls, ages 3 and 4. Their bedtime is 7 pm. I hadn’t thought it when my first was born but my pediatrician recommended “Health Sleep Habits, Happy Child” by Marc Weissbluth. She questioned us regularly about sleep habits and encouraged us to develop a consistent routine and bedtime. I am a strong believer in it now. We have several neighbors with children the same age and younger. They regularly go to bed between 9 and 11 pm. I see the difference in behavior and health. My daughters have had very few colds, no other illnesses, despite being in preschool. They are generally well behaved. Sometimes it doesn’t seem so to me but when I see the behavior of the children around us I see an astounding difference. I do not want to judge other parents but how do you deal with the impact on your children by others who don’t see the value and importance of sleep and an appropriate bed time? I am so frustrated by the activities that are scheduled well past by children’s bed time. I have gotten the looks and comments more times than I can count when I say that my children’s bedtime is 7 pm. Our society as a whole does not share these values. Holiday cartoons aimed at children are coming on at 8 pm or even later. My children are already asleep! My local fire department has decided it is a good idea to ride through the neighborhoods with sirens blaring with Santa on the truck at 8 pm. I am so frustrated by being treated like a freak or a tyrant for putting my child to bed at an appropriate time. Does anyone have any coping strategies? My kids, newly 2 and 4, never slept on their own and still go to bed with me – even later than your neighbor’s kids. This is because I am a night owl with intermittent insomnia issues still needing 10 hours a night, and could not fall asleep earlier than midnight even while working a 7-4 office job. Anyway – my kids are both happy, bright (fighting over who gets to name the countries on the world map shower curtain bright) and small on the charts (as was I) but growing well and rarely sick. Never sick enough for a doctor’s visit, actually. No one would EVER guess we have such a weird sleep schedule for the time being. I personally feel like I have to defend myself much more than a parent putting their kids to bed earlier than some norm, because sleeping late seems to automatically equate to a lack of discipline – which in our case, it most definitely is not. If my kids were up at 7am I would be a wreck of a mom, so unfortunately this is what we have to do to ensure everyone is well-rested. And, hey, the kids are loved and THRIVING, so – just thought I’d chime in from the other side 🙂 Different strokes, after all. You want coping suggestions for putting your kids to bed early and missing out on activities? How about you just record the shows and watch them at a different time? (FYI some of these shows come on at an earlier time in different time zones). Or you don’t get to go to some things because you are a parent and that means sometimes you have to sacrifice. Does Santa ride through the neighborhood nightly? Or is it a one time deal? I mean, really, that’s not a huge deal if it’s one time. So other people don’t put their kids to bed as early as yours. Its your family and you do what is best for you and yours. And others will do what is best for them. We go to bed between 9 and 10 because my kids don’t have to wake up early. And my husband sometimes doesnt get home until 7 or later. An “appropriate” time isn’t as important as the length of sleep. Just because others don’t do things the same way as you doesn’t mean they are wrong. People can value sleep without having their kids in bed by 7. 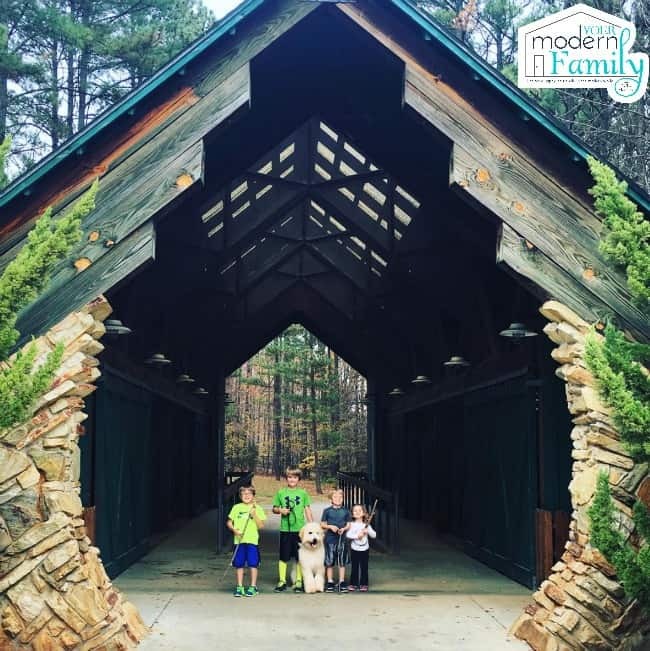 My kids sleep until 9 or 10 in the morning and we miss out on some cartoons, community activities, and play groups, especially on the weekends. But I’m not over here expecting shows to be on at a different time or everyone to stay quiet until my kids wake up. Here is the best “coping” strategy: don’t worry about what others do with their families. Take care of your family and let others do the same. Raise your family the best you can. For the cartoons you could tape them and watch at your convenience. As for Santa perhaps one time the bedtime could be adjusted for this. Thank you for your sweet comment! I like the article and appreciate how non-judgmental it was. Not impressed by the self-righteous tone of some of the comments left by the readers. Hey crazy Texas lady, maybe go easy on the all caps eh? Not sure avoiding drugs and jail are the gold standard of successful parenting either…just saying. I think it’s true that everyone has to find what is right for them. My kids go to bed around 8 and sleep fairly late. I’m not a morning person so I really don’t want them waking up extra early. We live close to school and have a pretty solid half-hour routine for getting out the door. If I put the kids in bed before 7, I wouldn’t get much time with them since I work. To Sebine (the previous commenter): Nice to know we can all comment on not being impressed with the self righteous comments and then turn around and call someone a senior citizen a “Crazy Texas Lady”. I agree with you wholeheartedly. They will retain more and be less troublesome with appropriate rest. We also put our 3 kids to bed at 7:00pm. Not only does it avoid the late night arguing, whining, and extra messed it allows me and my husband to have daily time together to chat, unwind, and play games together and reconnect. We totally can relate to the criticism from friends but I chose not to listen and do what WE know is best! Great job moms!! The best advice my doula ever gave me, when our daughter was a month old, was to put her to bed early, like at 4pm. I started doing it back then, and she would only wake up for nursing through the night, but would otherwise sleep like an angel till the morning. Now at two years old, we have pushed it slowly back to 6-6:30pm and she sleeps through the night (and even through the diaper change we do, before we go to bed) until 7-30am. I am so glad, we are doing it this way, not only for her, but for us, we have wonderful evenings with friends over or just us as a couple, and no over tired kid, driving us all nuts. 🙂 Def. not alone here!! I 100% agree!! I have two sons aged 3.5 and 5.5. Bedtime is 6pm every night. We have the same routine of bath/shower, story time then cuddles and maybe a song in bed. Some nights we may be a bit later but rarely any later than 7pm and sometimes as early as 5.30pm (when mummy has HAD ENOUGH!) My boys are full-on and being a single mother I NEED my alone/downtime to relax and unwind. I get a bit upset when I see parents regularly keeping their kids up far too late at night. To get my kids into bed by 7 would mean I would only see them in the weekends due to my work schedule. Boy do they grow up fast the years flash by before your eyes. My partner and I never seem to get time without them but that suits us fine because unlike many parents we actually enjoy their company. 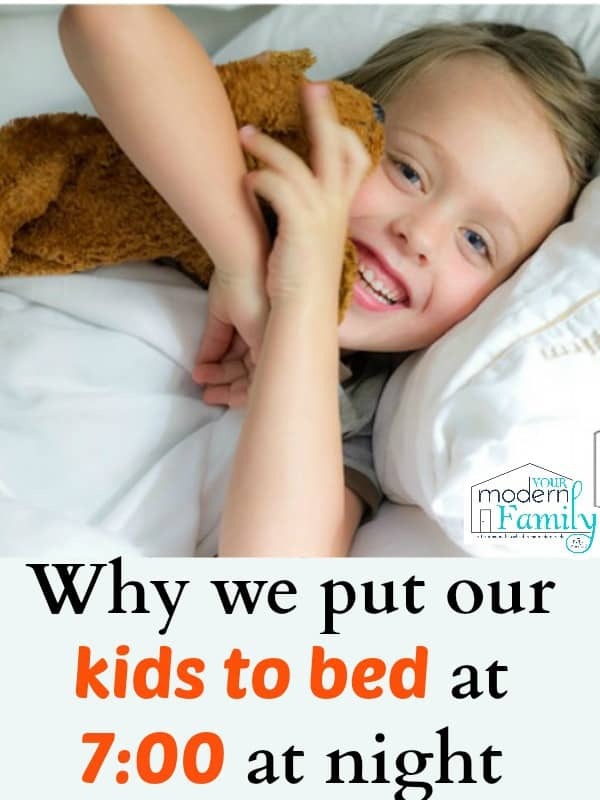 Our kids go to bed later than most yet we know that a lot of children go to bed early but don’t actually sleep and we believe this is so the parents can get “rid” of them. We would prefer to spend those precious moments with them before they disappear. Our kids don’t seem to be at affected by less sleep than their peers health and education wise. Yet people have described us as a bad parents for letting them stay up later. I personally have terrible memories being a child spending countless hours sitting alone in my room because my parents “got rid of me” nice and early for the night. Parents like this always come across to society as the good parents. I am a bad parent but I don’t care because I know that my children will grow up instead with happy and fun memories of us doing things together as a family while all their friends are lying for endless hours staring at ceilings. My kids are incredibly active yet nothing ever is enough to be able to get them to sleep before 9pm so forcing them any earlier just is hopeless and I know this not through lack of trying. They still end up averaging 10 -11 hours a night and based on how the are the next day must mean that is enough. Even if they only get only 9 hours it seems to make no difference. Just my point of view and I don’t blame single parents or stay at home mums. 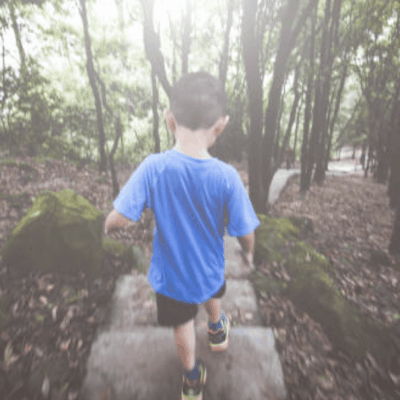 If you you get sick of the sight and sound of your children throughout the day then maybe it is best for everyone’s sanity that you part ways early in the evening like you say you have to do what works for your individual situation. If your child is lucky enough to be able to go straight to sleep at 7pm then that’s wonderful and obviously they need lots of extra sleep to function. I see this with my nephew he is a nightmare and cannot cope the next day if he has a sleepover and has a late night but that is how he is wired his mother is the same. My children’s father and I are night owls and our children share that gene. I just wish people weren’t so critical about night owls we cannot help the way we are wired. As for our childrens bedtimes we have our reasons we know what works for our kids. Oh goodness- I could ever get sick of them. <3 Different strokes for different folks, but when our kids go to bed at 7, they are usually sound asleep by like 7:15 (no joke- usually sooner!) Our 2 and 4 year old are asleep by like 7:02! haha. Exhausted!! I even have to wake the little ones the next morning to take their big brothers to school. 🙂 The older ones wake up between 6:50 & 7:45. (I have to wake them up by 7:45 to get ready for school). Hi – my first time reading your blog as I stumbled across this post searching for tips on my current situation! We have a very similar parenting philosophy and a similar family structure (kids same ages). I have one question though – are your kids in separate bedrooms? All my hard work is starting to unravel as cheeky mr 4 is creating bedtime chaos. He’s exhausted as are his brothers, but they find it so exciting to be in the same room. A mix of giggles, singing and getting in and out of bed shenanigans end up waking their little brother (18 months) who sleeps in the sunroom. I despise my last words being cross ones to them, but I do invariably end up being cross, taking away cuddlies or sending one to fall asleep in our bed (to transfer back later). They are never usually quiet until 745/8pm. The same child is also an early riser, so anytime around 6am I have him awake and calling to wake everyone else up! Any tips/advice for this scenario? I am genuinely interested in suggestions that we could try. Thanks so much! Yes- they are all in different rooms. We used to have our oldest kids together but decided to moe them to their own rooms. When they were in the same room, I would sit in the room with them and read a book (to myself) for about 10 minutes until one of them was asleep, or I would stagger their bedtimes. In the morning, I would let the oldest one look at a book in his bed if he was quiet, or use the Kindle with wireless headphones. I’m sorry- I wish that I could be of more help! 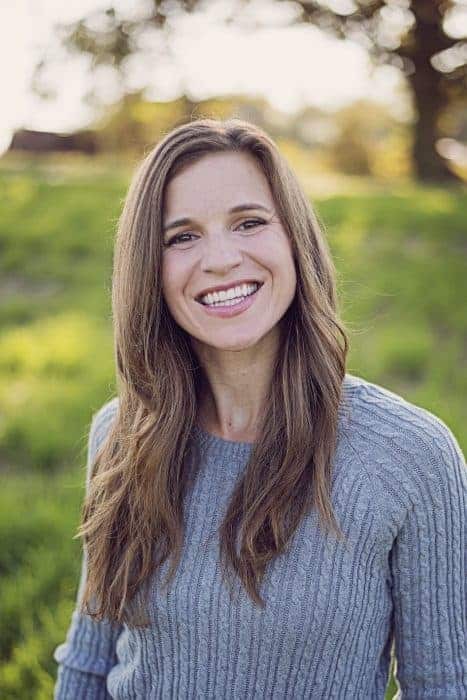 Becca, I am exactly the same – a night owl, and whether my kids are or just naturally adapted to my odd clock and need for a later schedule I’m not sure. But, I need 10 hours a night myself, and my kids go to bed with me, never having slept on their own even as babies (smart little guys). So, late to bed and late to rise, cause early just might be the death of me 🙂 I hear you on feeling some parents who put their kids to bed so early are just trying to be done with them for the day! However, I hate feeling judged by others simply having my kids up and about with me “late” – as if that by itself is a sign of neglect or lack of discipline and consideration. Obviously we know it’s not, at least for us! Firstly, you don’t have to explain yourself to anyone. You’re doing an amazing job! Secondly, it’s important that as adults we get some “me” and “us” quality time and we use this time for this. Without it we’d never get to relax and connect. Lastly, it’s hard enough being a parent and we judge ourselves enough without others doing it too. Becky, my kids are going up at 7:00 pm too! After a busy day , i don’t know why i would put them later than 7 pm. They get soo cranky the following morning. I do know a lot of mothers put their children 9 pm or 10 pm and their kids wake up very cranky on school days..I don’t find it very healthy. The only time I find makes sense for me, when it’s summer time they get to sleep from 8 to 9 pm. Everyone has his own way. But i do agree with you!! I’m so sorry- it has to be hard feeling like you are doing it all. Sending you a virtual hug for a job-well-done. I don’t really have any advice, just wanted you to know that I’m cheering for you. I know this is an old post but I just had to reply. My heart goes out to you Lisa. I really do hope your situation is better now. This sounds exactly like our house! A 4 yr old, 20 month and 8 month old. We run on the exact same schedule for the exact same reasons. If I drive anywhere mid afternoon he is passed out! But can’t nap either for the sake of not being up til 10pm. It makes SUCH a difference! Can l aske you how you make your baby sleep at 5pm &wakeup at 7 am I have a 3 months old baby I wish she sleep at night well. when I read this article l feel that I am a loser mom! OH- 3 months old would be so hard. When our baby was that age, she went to bed around 6, but woke up at midnight, 5 am & 9 am to eat. Sorry- but hang in there! Sweetie, no, you are so not a loser mom. At 3 months infants still require feeding every 3-4 hours. She will begin to sleep through much better after she starts solid foods at about 6 months. I would also like to let you know that some babies are sleepers and some just are not. I have 9 children and out of those 4 are long 10+ hours sleepers, 3 don’t sleep more than 5 hours a night even at 6, 8, and 18. And 2 sleep an average 8 or 9 hours nightly. You are still in that horrible adjustment to mommyhood stage where you doubt everything you do. Not enough sleep makes that worse. Relax and forgive yourself little momma, you’re doing fine! I wish our school started at 8 around here! Mine are too little for school still. Before I had them I taught kindergarten and school started at 7:35. Now, it’s been moved even earlier and starts at 7:05!! We are in a rural area, so kids that ride the bus have to leve their house as early as 6am. My opinion is that is not healthy for them. Those that play sports are sometimes not even home until 9 or 10. Lots of kids don’t even get picked up from daycare until 6pm. There just isn’t enough time in the day for some families to get their child the sleep they need. Not with school starting so early. Lots of times the younger kids are stuck out at these sports events of brothers or sisters, too. My nephew starts Kindergarten at 7:00- I always feel so bad knowing that he has to be up at 6:00! Yes, My kids are on the bus at 6:38 in the mornings. Ugh. Wow! I don’t think I would be able to do that (let alone the kids… haha!) Good for you! I am so behind you on this Becky! I’m serious. We are determined to maintain an early bedtime in our home because our marriage is the foundation of a strong family. My husband and I need an early bedtime to enable adult time and invest only in each other. Keep doing what you are doing. I’m right behind you! My kids have exactly the same schedule at 2 and 4 years old. They are very busy and active little boys. They definitely need 11-12 hours of sleep every night. I agree. All of my girls are in bed at 7 during the week and 8 on weekends. It just works so much better for them and me. I’m a single mom with 3, the oldest is 6. If they are not in bed on time they go into meltdown. Even the weekends when they go to sleep around 8, I still lay them down with a movie by 7. That’s their treat for a week well done at school. A lot of people don’t understand because it seems hard in the beginning to get them on that schedule, but if they’d try for even a week, they’d understand. We have a 3yr old, same issue if she naps.. So she is usually asleep by 6/6:30. It’s so nice for everyone! I love this! I have always been very big on my son getting enough sleep. I could go in to my tirade about how I feel our society undervalues sleep (i.e. “Sleep is for the weak”) but I will refrain…LOL. Healthy sleep habits must be TAUGHT…just like any other habits we teach our children. Good for you! My Daughter has just had her sixth baby. Her two older boys, 6 and 7, are generally in bed by 7pm. Her younger ones, girls 4 and 2, and boy 1, are all in bed by 6-6.30. They are an energetic bunch who like to play outside a lot as well. With a big family my Daughter and SIL like to have some time to themselves and go to bed early themselves. I too put my kids to bed early. 4 y/o twins At 7pm, 8 y/o by 8pm. I know I am doing the right thing for one easy bit of proof, my kids are asleep in 30 seconds and aleep straight thru to 7am. They are tired. The other thing you did not really touch on, but I will admit is that I, too, am a stay at home Mom. My husband does not get home until after 8pm. I need a little time to myself in order to stay sane. Ha. So, at 8pm when I can sit down with a cup of tea and an episode of Real Housewives of whereever, I very much enjoy my decision about the kid’s bedtime. ps- I’m with you on time after they go to bed. Makes us better moms when we refuel! I couldn’t agree more with your article! I am also a sahm and I keep my toddler running and learning all day. My daughter is exhausted by 6 or 7! We also get up early around here due to my older sons being in school. I would like to add though that another major bonus to the kids going to bed so early is that parents get alone time! We get to talk about our day..watch something other then children’s shows and cuddle! I would love my 2yr old to go to bed at 7pm, but between working full time, trying to get dinner and bathtime done and actually spend a bit of time with my child it is 7.30-8pm. But it works for us. Our daughter is a 10hr sleep over night child. If I had her in bed at 7 she would be up before 5am, and I just cant handle that. She sleep a good 2-3 hrs during the day, even at day care so it works for us. A 2 hours nap is great! Our daughter (2 years old) goes to bed at 7:30. When she was an infant, we learned by experience that she needed to be asleep by 6-6:30. It was very rough, because I worked over an hour away from home and couldn’t pick her up until 6. So we headed straight home and to bed. After a few months of this, I left my job for one only 10 minutes from home. It paid a little less, but it was worth it to be able to spend time with her, and have less stressful evenings, while still adhering to the bedtime her body needed. I used to (and still do, but to a lesser degree) get a lot of flak from people (particularly my in laws) about putting her to bed so early. Sure, it impacted our social life, and we had to do dinners and such with family earlier and leave earlier. But, as I always explained, it is not my daughter’s obligation to sacrifice her biological needs for adult’s desires. My daughter had/has no say or control over these things, and it was MY job as her parent to make decisions that are in her best interest and protection. Other adults can choose to be flexible, particularly if they wanted to see her. It isn’t fair to leave her overtired, cranky, suffering poor sleep, etc. just to please the whim of adults. There are also several studies that have found later bedtimes (some say by 8 is ideal, others say 9 is the absolute cap) contribute to behavioral problems, poor attention span, illness, trouble learning, etc. One study looked at several kids with late bed times, and then had the parents put the kids down by 8. The results were dramatic. Behavior in class and at home was markedly improved by the NEXT DAY! And with consistency in earlier bed times, the kids grades went up. That’s reason enough right there! Totally agree!! The kids need to rest well so they can be in a good mood all day long!!! My 6 and 7 year olds are in bed at 7pm and up at 6:30am. They are ready for bed and on the weekends will sleep until between 7 and 8. Sleep is sacred. Oh man- that’s so tough! Good for you for hanging in there – I”d be exhausted. lol (oh wait.. . I am exhausted!) haha! I 100 percent agree with you, I only have one child however she has slept and woke for the same time since FOREVER, once she stopped napping she still slept early and still woke early, it’s totally works for us and I have NEVER EVER had one day that I had a rough time waking her up, generally she is awake on her own and her teachers have always commented that she is very alert and refreshed in class, once she is in bed, she stays in bed and sleeps wonderfully, I wouldn’t have it any other way….. I love everything about this post! I am a firm believer in putting kids to sleep early so they get the max amount of sleep they need a night. When my kids go to sleep later than their 7:30-8 bedtime, they wake up extra early for some reason and are cranky/crabby the entire next day. I have heard snide remarks from certain relatives (believe it or not!) that try to keep my kids up later than normal when they babysit. It only hurts them and us the next day! It works for us, and especially makes them happier kids when they get their sleep. haha- me, too!!! (remarks!) 😉 I’m w/ you! My 8 year old daughter has an 8pm bedtime on school nights (I relent a little on Friday and Saturday nights, but even then I think it’s usually 9pm). I started a new routine with her this school year. We head upstairs at 7pm. This gives us an hour to do showers, picking out clothes, and just spending some time together! By 7:45 to 8 we are curled in her bed for some reading or looking at I-Spy books. Some nights she has trouble going to sleep and it might be 8:30 or so before she’s out, but most nights she falls asleep quickly. She’s TIRED at the end of a long day! (And so am I). Even going to bed around 8pm, I usually have to drag her out of bed at 7am. Adequate sleep is so important not just for kids, but for adults too. I’m usually asleep just past 9pm and wake up at 5:30. Yes- that is how our kids are, too. If they go to bed at 8:00, it is a struggle on school mornings! I’ve raised 7 kids and take care of a few of my grandkids while their parents work. 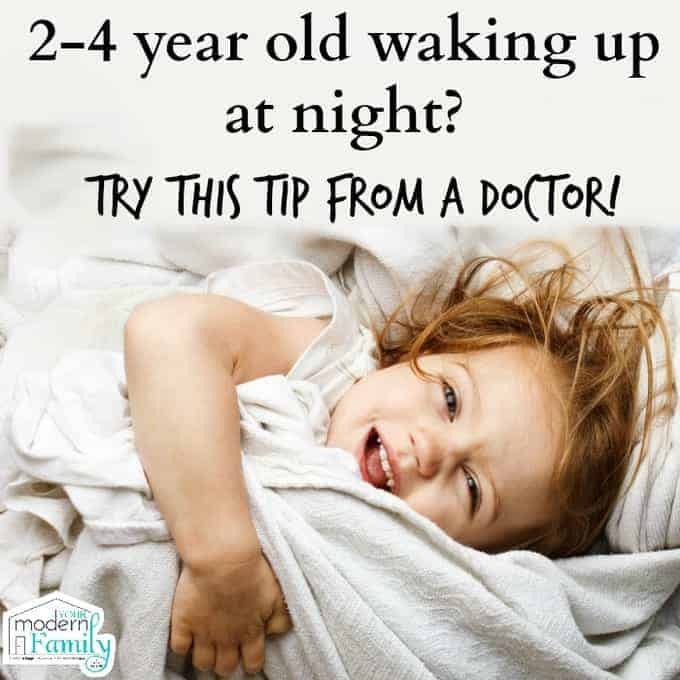 I believe in early bedtime routines for kids because (1) they are small and need more sleep; (2) small children tend to be early risers, no matter what time they go to bed; and, (3) my hubby and I needed those quiet hours at night for ourselves and each other. I agree completely, my daughter has gone to bed at 7 since she stopped taking naps and would even ask to go to bed. She’s 9 now and just started going to bed at 8:30. My girls always had a seven o’clock bedtime and slept for 10-11 hours all the time. That changed when they could get up on their own for school, for one it ended about grade 7 and the other daughter around grade 9 and this child still takes a nap when she can. Many people don’t know the power of sleep to a growing child, it can be one of the most stressful for many parents, but could also be one of the most priceless bonding and treasured memories of the parent and child. Don’t you wish that we could take naps, too?! I totally agree with you. I have 2 children, son who is 6and my daughter who is 4, if they go to bed later then 8pm I have 2 very cranky kids. They have always been in bed around 7 or 730pm. Unless like you said its their special night. Which never happens on a school night only on a Friday or Saturday. I am in total agreement. We usually have dinner around 5pm when my husband gets home, and start our bedtime routine right after, with quiet time, showers and heading to bed. We do this so that they’re in bed by 7 and asleep by 7:30. Except on Soccer practice nights. Then they’re asleep by 9. They have been so much alert in the mornings since we started doing this last year. Grades have improved as well as attitudes. I love that it gives my husband and I time to ourselves. 🙂 As always great post Becky! I appreciate that you added “Do what works for you” at the end of this post. My husband gets home from work at 7pm each night, which is when we have dinner as a family. Needless to say, our daughter goes to bed later than 7pm each night. Unfortunately, not every one is able to take the context of the situation into consideration, and all they hear is “she goes to bed later than 7pm” so I’ve faced LOTS of criticism from other parents for our decision. Truly whatever works for you and your family. The other facet here which may come into play for a lot of families is that, plain and simple, some babies and kids are really good at sleeping and some are not! My friends often talk about their children falling asleep during shopping trips or in the car — my daughter is nearly four years old and after the age of about 3 months has never ever fallen asleep in a shopping cart or while visiting friends. I just can’t relate. So, anyway, I send grace and encouragement to those mamas whose schedule may not allow for vast periods of interrupted sleep, whose living situations may not offer quiet times, or whose children aren’t the kind of kids who can just plop down anywhere and snooze! You’re going a great job! My husband and I both work full time and our children (12 and 14) play BB. We also have an 8 year old. He goes to bed at 9. My 12 year old at 10 and my 14 year old is often still up at 11. They are still hyped up when they get home and often have homework to do as well…many nights at 8:00. We are starting to eat dinner at 8:00 some nights as that is when everyone is finally all home. it is a crazy season of our lives but we still find time to be together. Luckily they can sleep til 7:00 on school days as wed o not leave the house til 7:35. Everyone had to do what is right for their family and not compare ourselves to others. No two moms or families are living in the exact same situation. As a teacher, I know how important sleep is, but I also think my children need time to be in school, do homework, play sports, practice their faith, spend time with family and relax so we are making it work. We have a newly adopted 14 year old daughter whom we have had for three months now and her bedtime is 8pm.We have supper between 530 and 6 and then she does her homework.Around 7:30,she goes in a takes a quick shower,then after the shower she comes into her room and since she is a bedwetter,i put her cloth diapers and rubberpants on her,then she puts her nightie on and it into bed by 8 pm. We have put our kids to sleep at 7:00 for as long as I can remember. It works great for us! Wow, well at first I did question the bedtime and clucked on the link to see why? So helpful that you explained, and it titaly makes sense. My seven year old wakes up at 6:30am and I find it so hard to wake him up in the mornings. I will definitely be trying bedtime earlier thank you! Oh- thank you for having an open mind to it!!! 🙂 & for the sweet comment! I totally understand how this schedule works for a lot of families and kids. It totally doesn’t for our two working parents get home at 6:00-6:30pm family. Since our daughter was a baby she has had an 8:30-10pm bedtime. At 2.5 her schedule is up at 6:30am, nap from 2:30-4:30, to bed at 8:30-9:00. On weekends she sleeps in until 8:30am, but then having gotten 11-12hrs overnight will generally not nap in the afternoon. The only downside I really see with very early bedtimes is being able to attend family functions, evening school events etc. Obviously there are times as parents we break our own rules, but we are out with our daughter ALL the time after 6:30-7:000pm and she isn’t cranny or cranky because it isn’t a change to her schedule. When is family dinner when bedtime is between 6 and 7? My hubby is not home from work at 4.30 or 5. Also, my kids get energized by their dinner. We aim for 6 pm dinner, hopefully with Daddy and 7.30 bath & bedtime. Usually its 8 pm when actually in bed. Does that mean you have to do all the cooking for this to work? Seems like kind of an uneven division of work, and I would think that causes stresses of its own. PS- Its really no extra stress… thank you crock pot! 😉 haha! Our current bedtime is 730 for our three month old and 8 for our two year old. I’d love it to be earlier but our two year old already wakes before 6 many days! Since our two year old was born her bedtime has been between 7 and 8 – adjusted to try and get her to sleep in – but we’ve been stuck at 6AM or earlier for a while. What time do they get up when they go to bed at 7? Wow.. I may need to try my 2 year old at 7 or 730 again. My husband works out of town so is gone Sunday through Friday and I could use even an extra half hour to clean and decompress at night! Thank you! I respect your choices and I get the need for time with the husband. What don’t understand is how the kids get time with Daddy daily. I have a seasonal job but mostly I’m a SAHM and I have 2 adult kids and a 9 year old. My husband works long days and an early evening is 6:30. Bedtime is between 8:30 and 9 …any earlier she misses Daddy. I always wondered about folks that put there little babies to bed at 6:00pm. No judging here, just very curious. My husband is home by 6, so he gets the good time with them… we eat together, he helps with bath time and reading time. He puts them to bed and lays with them. On nights where he is at practice, he is with our older boys for three hours straight, so he doesn’t get to see our little ones on those nights, but I can’t keep them up until 9. They FaceTime w/ him in the day & talk to him about 5 times a day on the phone. haha!! He is home on weekends, so he really uses that time to its full advantage. We do a lot of family-activities on Sat & Sun. Yes- lack of sleep makes them SO cranky here, too!! I am so behind you on this. All of my kids- age 7, 11 and 13– have a 7:30 bedtime. We have a 25 acre farm and the day starts at 5am around here. Chores are done and animals fed before breakfast and school. School is a 20 minute drive and school starts at 7:50am. After school is homework, farm chores, youth group on Wednesdays, dinner, baths and bed. Weekends are family and church family time, and projects/seasonal cleanup around the farm. Still the early bedtime. The 13 yr old doesnt even complain about the early bedtime…she is pooped! I bet!! That’s so awesome that guys all work on the farm together. That’s awesome. Our kids have to be up early, so I can’t let them sleep until 9:30… but enjoy it!!!! 🙂 yay! I totally agree. 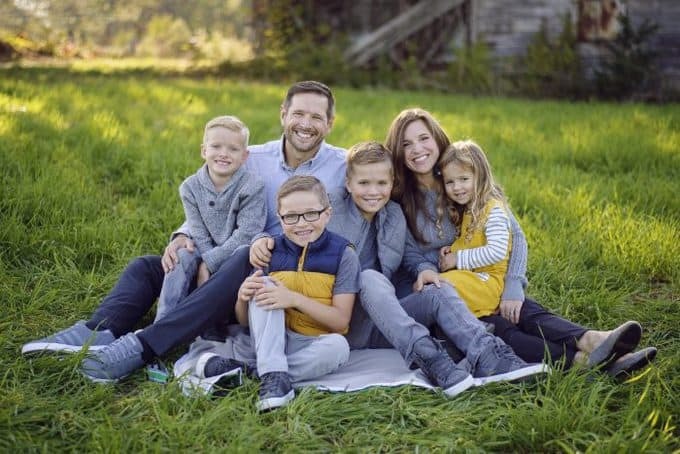 We have 3 kids 8,6 and 4. Up until last year, their bedtime was 6:30 pm. Now it is 7:30 pm. With the 2 older ones in school and my little guy being very active throughout the day, It is important to us that they get enough sleep. For little guys to have to get up at 6:30 am to get ready for school and then go to school all day, come home to do homework, and then play outside for a couple hours, sleep is essential. They have no problem going to bed that early because that is all they know. And as a couple, I think it is very important to have time to ourselves and just reflect on the day and sometimes just get some peace and quiet. I personally feel bad for those who dont put their kids down til later in the evening…….they are missing out on sanity lol. When our girls were little they had to be in bed by 8pm. I would have preferred a little earlier but had a hard time getting them to bed that early. They had to get up around 7 to get ready for school and if they went to bed later they were tired. Now that we homeschool bedtime is much more flexible and I like it better. My 8 year old gets much more time with his dad by being up later and then sleeps in a bit so I can get things done before schooling him. The girls are teens so they are free to make their own schedule now. Sleep is very important though so I encourage everyone to be in bed my 9-10 so they can get enough rest. I agree with this article and as much as I would like to follow I can’t seem to manage my schedule with my children’s schedule if someone can give me some tips I would appreciate it.. I work 8:30am until 5:30pm by the time I pick kids up in day care at 6pm and get home at 6:30pm and then have to do dinner. Our Dinner is usually until 7:15 pm. after dinner it’s homework time and then shower and read a book by the time they go to bed it’s 9pm… she wakes up at 6:50 am so I know she isn’t getting the sleep she needs. How can I help her get the sleep she needs?? I completely agree. My little guy goes to sleep at 7 every night, otherwise he is miserable throughout the day. It’s harder in the summer when it’s still light outside but I can just tell we are all happier, more productive people when he gets a good 12-13 hours of sleep. Not to mention, its nice to connect with your husband at that time. Great read! my son is 9. I like him in bed going to sleep by 8:30 but most of the time, it’s after 9 pm until he’s even getting in bed. Here is what happens after school- I’m a SAHM and I get him at school at 3:30, we live next door to his grandparents so he goes over there to play till 4:30 (some one on one time with his grandma). I start fixing dinner and we eat at 5:00 pm. My husband is self-employed, and is dirty when he comes home, so he takes a bath as soon as he gets home. We eat dinner, I clean up the kitchen while my husband and son play together. Then I try to get my son to get any homework done, and he is supposed to read to an adult for at least 20 minutes. Then I have my son take his bath. This is what I wish would happen, but my son usually protest and wants to keep playing. Before I know it, it’s 7 pm, and he is STILL playing. When reading, and home work are done, and I make him get in the tub, of course he wants to play in there. When I DO finally get him in bed at 8:30, he wants me to read to him and hold his hand while he falls asleep. ( I don’t mind holding his hand while he falls asleep) I still have to take a bath and I wash my hair and shave every other night and it takes me 30 minutes for a bath on these nights. So, most nights, I finally get some alone time with my hubby and by this time, it’s 10 pm, watch the news and go to bed. I don’t know how to speed things up so my son is asleep earlier. I would love for him to be in bed by 7:15. I read to him, then Daddy comes in and says good night, then I talk to him and tell him good night, hold his hand if he wants me to. I guess my ? Is- how do I get him in bed at a decent time, so I can have time with my husband to watch a whole show together at night? WE do homework right after school & get everything else done (pajamas, etc..) before dinner when my husband gets home. 🙂 that might help. ?? School pick up is 3pm. We’re home by 3.10 at the latest as we just live around the corner. Homework is done once coats and shoes are of, accompanies by a snack and music if he fancies. We find this works because he is still in ‘school mode’. It always seemed to be more of a battle to get homework done once he’d unwound and so once it’s done it’s out of the way. Even my son admits it’s much better. For shower time, have you tried letting him help make a playlist of his favourite songs to play while he’s in there? If you make it last the length you expect the shower and drying up should take then it might make it feel a little more fun. We can usually hear my son singing at the top of his voice, lol! For everything else we have alarms (except showering as he prefers to shower in the morning ). This is ‘get ready for bed’ alarm’. He has half an hour which also includes story time so the impetus is on him not to mess around. The quicker he’s ready the more story time he has. Bedtime alarm. He hops off to bed for personal reading time. Lights out and go to sleep! If you like the alarms idea then you could incorporate a shower/bath time alarm. The great thing about the alarms is that there are no battles. He can’t argue with an alarm or try to negotiate with it! ;D And they set his body into a pattern. Some nights the first alarm goes off, he just disappears without a word, returning all washed and brushed ready for bed! Hope that’s of some help? I am a preschool teacher at a child care center most of our children do not leave till 6:30pm and some have 30 min ride homes I see it with these children who do not get enough sleep by 9am there cranky but I feel bad for the entire family . By time they get home unwind eat dinner get a bath it’s well after 8pm . I am lucky that I have a great sleeper my son is 3.5 and we go to bed at 8pm and up at 6:45am but he naps usually 2.5 hrs at nap . I’ve tried the 7pm bedtime but than he wakes up at 1am and is hard to return to sleep. I agree that kids need their rest to get through their day ! You should not have to explain your lifestyle to anyone everyone’s home is run different ! I am sorry but I still didn’t get it. I agree that you don’t have to explain yourself to anybody and whatever works for you is what you should be doing. I didn’t understand why, though, putting them to bed at 7pm. My 18month old takes a nap of two hours at noon and then goes to bed at 9pm. He still gets up at 9am approx, so he is not missing any sleep. Why would it be better for me to put him to bed at 7pm? I am reading your comments with a little envy. You are sooo lucky and I wish I could do that. My child who is 5 has NEVER slept more than 10 hours, he regularly sleeps between 9 and 10 hours a day and I never put alarm clock because he always wakes us up. I wish I could put him to bed at 7!!! If I do, he’ll wake up at 4 in the morning!!! I always struggle to get some sleep myself, and some days it is really hard for me to cope with a child who needs little sleep. I feel I need it more than him! How I organize our kid’s school work (projects, drawing, tests) that they bring home. Don't miss out, subscribe today for all the latest! Copyright ©2019, Your Modern Family. All Rights Reserved.